What’s the point of a TIF? A Brew reader, who also peruses the Board of Estimates agenda (now that’s our kind of reader! ), asked us this question after he noted that the spending board was asked this week to ratify $500,000 to install a sewer force main on Caroline Street, so that developer Michael Beatty can get the next phase of his Harbor Point project going. Beatty got $107 million in Tax Increment Financing (TIFs) from the Mayor and City Council in 2013 for public infrastructure improvements at his site just west of Caroline Street along the waterfront. Now he needs a little more taxpayer money because a portion of the force main extends into Caroline Street just outside the TIF boundary. 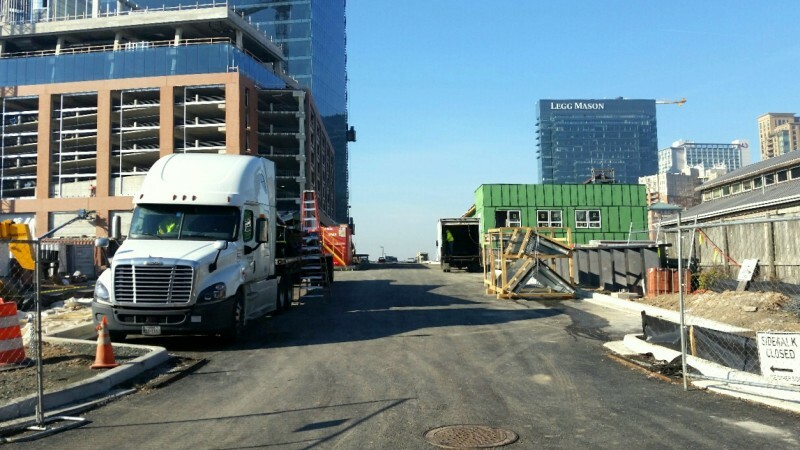 Moreover, Beatty wants the work done post-haste so “the next phases of the Harbor Point project beyond the completion of the Exelon Building” can commence. The Caroline Street force main won’t be the only infrastructure cost that city taxpayers will be footing for Harbor Point. The city is also on the the hook for a bridge that will link Harbor Point with Harbor East. We wrote about the Central Avenue Bridge two years ago, after doing some perusing ourselves of the supplemental agreements struck between Beatty and the Rawlings-Blake administration. Give it a read: In the fine print, city agrees to pay for additional costs of Central Avenue Bridge. Which makes us wonder how often – and for how much – Kevin Plank will be coming back for “extras” in addition the $535 million in TIF financing he is now requesting at Port Covington.